Explore North Coast takes paddling safety and skills development very seriously, and encourages new paddlers to learn basic skills. In that regard, ENC can provide financial support for paddling skills instruction through grants to members with financial needs. Click HERE to learn more about ENC grants. ACA Certified Kayaking Instructors – this is a list of local, certified instructors available for either group or private lessons. All are certified as Open Water Coastal Kayaking instructors. A description of the certification levels can be found here. 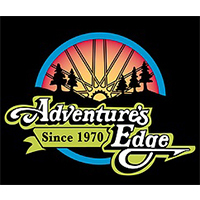 Adventure’s Edge – is located in Arcata and Eureka, and specializes in hiking, biking, paddling and climbing. They have over 30 years of experience providing service and expertise with quality equipment for all of your outdoor adventures. 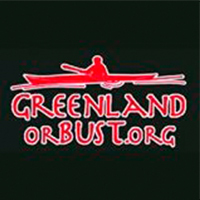 Greenland or Bust – Greenland or Bust’s mission is to promote and instruct sea kayaking through both traditional and contemporary techniques. They deliver presentations, instruction, rolling demonstrations, overseas expeditions along with BCU, ACA and ISKGA training programs. Helen Wilson and Mark Tozer are both ISKGA Guides and frequent guest coaches at symposia and kayaking events around the world. Helen is internationally known for her rolling and traditional skills instruction, while Mark is equally recognized for his coaching credentials. They have over 30 years of combined coaching experience to offer their students. Greenland or Bust is also the organizer of the UK Storm Gathering Symposiums and the Storm Gathering USA Symposiums. 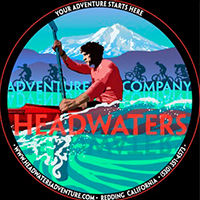 Headwaters Adventure Company – Terri and Joe Arbuckle, our friends to the east, are outdoor enthusiasts who share their passion for adventure. They carry top of the line kayak equipment, offer instruction, and specialize in hosting frequent kayak tours and outings in the Redding area. 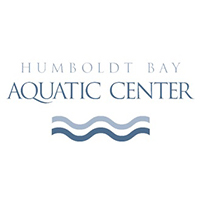 Humboldt State University’s Center Activities – located at the Aquatic Center on Humboldt Bay, has an on-site rental program offering kayaks, stand up paddleboards and canoes. Instructional programs offer a building block for new paddlers to safely explore local waters. 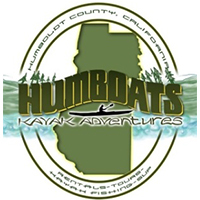 Humboats Kayak Adventures – located in Eureka at the south end of Woodley Island, Humboats has everything you need to enjoy the local bays, lagoons and rivers. Among other things, they provide “kid friendly” tours for children on Humboldt Bay and guided kayak fishing trips as well. Kayak Trinidad offers paddlesports instruction and guiding in the beautiful seaside village of Trinidad, California. Nestled at the gateway to the California Coastal National Monument along the rugged redwood coast, Trinidad offers some of the most spectacular coastal paddling opportunities in the world. 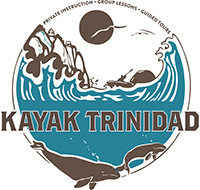 Kayak Trinidad offers a variety of services for all paddling levels, including beginner friendly lessons, whale and wildlife tours in Trinidad Bay, and advanced instruction and coastal exploration. With over ten years of experience coaching and guiding, your safety and enjoyment is their primary objective. Kayak Zak’s – is located at beautiful Stone Lagoon with summer operations at Big Lagoon, as well. 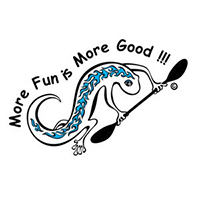 They specialize in family fun on the water, and offer a full assortment of rentals, instruction and guided tours. From flat-water to bumpy water, they know how to have fun at what they do. 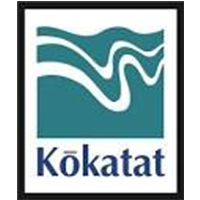 Kokatat – anyone who is really into water sports knows Kokatat. Located in our very own Arcata, this company manufactures awesome equipment, including PFDs and dry suits. They hit the mark with quality and reliability, and stand behind their goods. Liquid Fusion Kayaking – Cate and Jeff, our friends to the south, operate LFK together on the beautiful Mendocino coast. They specialize in providing fun, personal and interactive instruction, along with educational adventures that inspire appreciation for wildlife and nature. 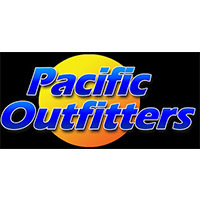 Pacific Outfitters – located in Arcata and Eureka, are outfitting specialists who hunt, fish, hike, bike, snowboard, dive, kayak, play disc golf – they pretty much do it all. They offer a wide variety of equipment and instruction.